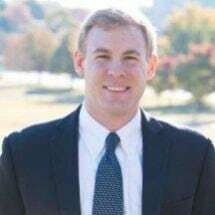 Tyler Sniff joined Stack & Associates, P.C., in 2014, as an Associate Attorney. Tyler practices in the areas of environmental, natural resources, and land use litigation and regulatory compliance. He represents individuals, citizens' and environmental advocacy organizations, neighborhood associations, and businesses in their efforts to protect and preserve the environment of the Southeastern United States and their property before state and federal courts and administrative agencies. Tyler is licensed in D.C., Georgia, Maryland, and New Jersey.